With Ready Player One, Steven Spielberg made Ernest Cline’s virtual reality Oasis even more vivid than we could have imagined reading the book. Now on Blu-ray, it couldn’t look any more real unless we actually jacked in to the Oasis. Watching the Oasis scenes in hi-def looks like the greatest video game that would never have graphics that detailed no matter how advanced Xbox gets. Every Easter egg is clear if you’re looking for it. The real world has that sort of blue Minority Report/War of the Worlds look but clearer and a little grittier if that’s even possible. Bonus features run two hours. It’s Laurent Bouzereau so he knows how to get the heart out of the filmmakers. These will stand the test of time on the 20th anniversary of Ready Player One. Every department has their own Easter eggs to share, and the leg poster makes an appearance on the movie tie-in book. I am surprised Bouzereau left so much of T.J. Miller in the final cut. There may not have been time to remove Miller from the movie, but there was certainly no need to focus on him in the bonus features. That a choice. Miller is goofing around in the E.T. red sweatshirt doing the Truffle Shuffle, and talking about his character voice. Obviously it was filmed before the allegations against him came to light but it’s still surprising they made the final cut now. 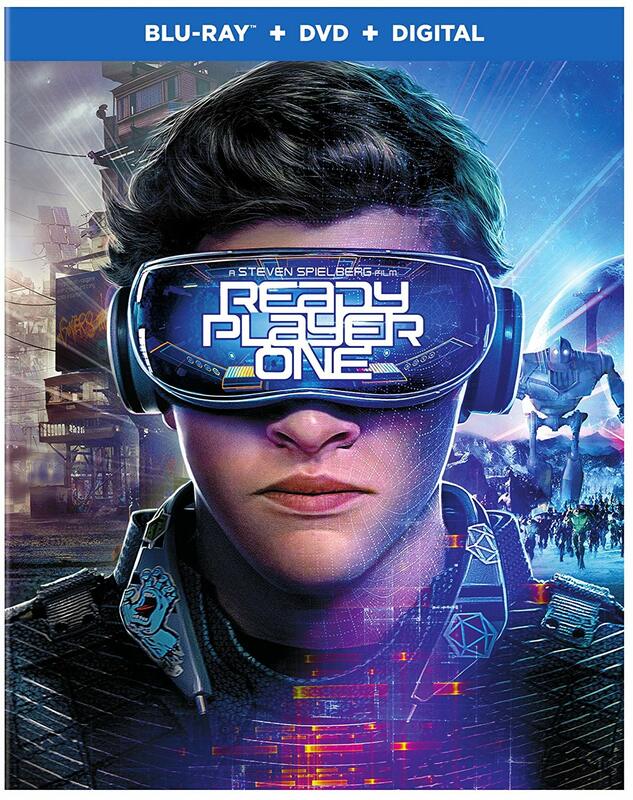 Otherwise, Ready Player One looks great on Blu-ray and has thorough bonus features to explore Spielberg’s process and the source material.